While a new state law raised the fine for running a red light to $158, a red light camera installed at the intersection of Bloomingdale Ave. and Bell Shoals Rd. has been monitoring motorist since January of 2010. As the dispute over their effectiveness continues, motorists are under the watchful eyes of red light cameras at a number of intersections throughout Hillsborough County. 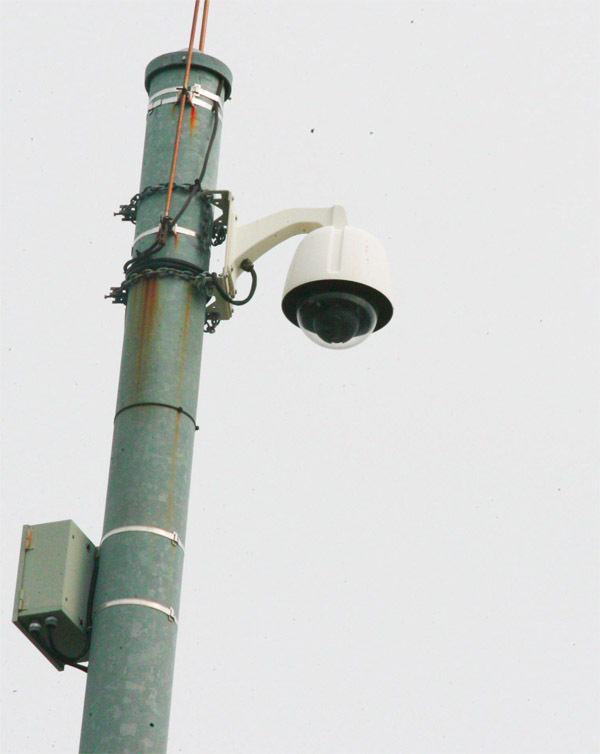 The state of Florida adopted new red light camera enforcement laws for statewide consistency. These new laws, outlined in House Bill 325 – the Mark Wandall Traffic Safety Act – became effective in July of 2010. Adding to the 10 cameras that were installed at six intersections in unincorporated Hillsborough County in late 2009, including the one located at the intersection of Bloomingdale Ave. and Bell Shoals Rd. in Valrico, 19 more red light cameras became fully operational in Tampa in October of this year. Following a 30-day warning-only period, motorists blowing through red lights have been receiving $158 fine, which must be paid within 30 days of receipt of the notice, by following the instructions on the back of the notice. Motorists cannot pay this fine in person at a county facility. Failure to pay will result in an increase of the fine to $250 and although the fine is only a fee and will not result in points on the license it will go on the registered driver’s record converting to a Uniform Traffic Citation (UTC), and will be enforced in the courts. Of course, to greater Brandon area residents the full function of red light cameras are nothing new as Hillsborough County deputies have been ticketing motorists for red light violations. According to recent reports, within the first six months of this year, the Hillsborough County Sheriff’s Office issued close to 13,000 citations at those intersections, with about two-thirds of violators actually paying their county-issued tickets upon receipt of first notice, 2.4 percent of violators cases are dismissed in court, culminating in the estimated revenue of close to $2.3 million since January of 2010. The cameras’ function continues to be rather simple as they take images of cars and their license plates. The deputies assigned review the videos before issuing a citation, which then becomes a public record. Appeal can be heard by a hearing officer. According to Hillsborough County Sheriff’s Office Corporal Troy Morgan, cameras at the intersection of Bloomingdale Ave. and Bell Shoals Rd. during the first nine months of last year saw 1,911 violations, while the same time period this year recorded 1,841. Perhaps not a major difference, however, as for the all 10 cameras operating in unincorporated Hillsborough County, so far this year have seen 2,200 less violations than a year prior. Bloomingdale Community Resource Deputy Curtis Warren commented on the need for the cameras as the running of red lights has become a routine. According to the U.S. Department of Transportation, red-light cameras reduce traffic accidents by almost 25 percent. The Hillsborough County Commission voted unanimously on behalf of the use of the equipment based on data by HCSO. For more information about red light cameras, please visit www.hcso.tampa.fl.us. For more information on your specific violation, contact the Violation Processing Service Center at 1-866-790-4111.